Stan Antonevich, Violin and Viola teacher at Winchester Stage Music Center. Stan Antonevich is an award-winning violinist with extensive teaching experience and proven results. He is known for teaching the Yankelevich (Moscow) School of Violin, which has produced such violinists as Viktor Tretyakov, Leonid Kogan, Ilya Kaler, Vladimir Spivakov, Tatjana Grindenko, etc. He provides an individualized and creative approach for each student, with a focus on sound quality and proper technique. Stan’s students are often selected as concertmasters of their orchestras. His advanced students have gone on to obtain highest scholarships at the Longy School of Music, the Boston University Music Program, and the Boston Conservatory. Stan Antonevich grew up in Latvia, and has been playing violin since the age of three. He is an internationally acclaimed solo, chamber, and orchestral performer. 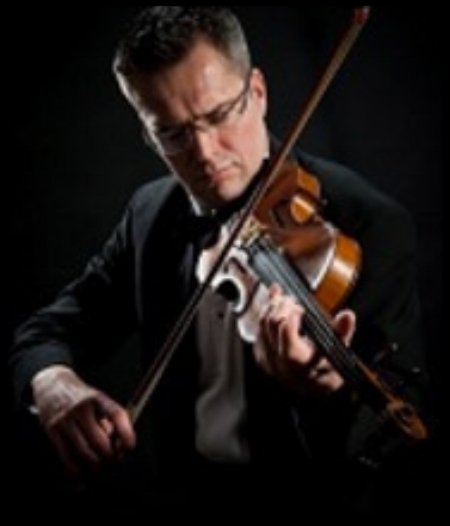 Stanislav has served as concertmaster with several symphony orchestras in Massachusetts and nationwide, including the Massachusetts Symphony Orchestra. He has performed as soloist with the Latvian National Orchestra, and other orchestras in Europe and the United States; he has also performed with multiple chamber ensembles, including the Israel Chamber Orchestra. Stan is a graduate of the Vitola Latvian National Conservatory. In addition, he holds Masters Degrees both in classical and jazz violin performances, and an Artist Diploma in solo performance, all from the Longy School of Music in Cambridge, MA, which he attended on a Presidential Merit Scholarship. At Longy, Stanislav was the winner of both the Concerto and the Chamber Music Competitions. He was the only violinist selected by the Longy School to participate in the Chamber Music workshop with Isaac Stern at Carnegie Hall. Stanislav’s honors also include first prize at the International Balys Dvarionas Violin Competition in Vilnius, Lithuania, and a Diploma at the International Kiejstut Bacewicz Chamber Music Competition in Łódź, Poland. Stan’s 22-year teaching career includes serving as music faculty member at Western Kentucky University. He is the Founder and Music Director of the Newton Violin Studio in Newton, Massachusetts. His teaching experience ranges from individual violin and viola instruction, to classes in music theory and appreciation, to audition and recital preparation workshops, to ensemble coaching.